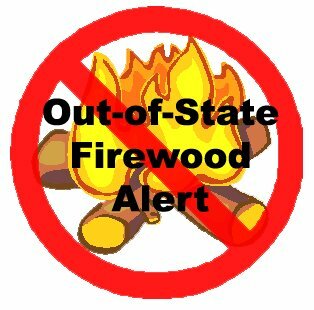 Oregon residents are being asked to make sure that if they purchase firewood, that it comes from Oregon. According to Dan Hilburn, administrator of the Oregon Department of Agriculture Plant Division, that’s because firewood often allows diseases and invasive species to hitchhike to new locales, endangering trees and nursery stocks in whole new areas. Officials want to keep that from happening in Oregon. As regular readers of this blog may know, diseases and bugs that have traveled via firewood have included the Asian longhorned beetle, the emerald ash borer and sudden oak death. Read the ODA press release to learn more about the danger of non-local firewood.